Nowadays, many laptop have a touchscreen. If you install archlinux on laptop with touchscreen LCD. Maybe you want to taking note like Samsung Galaxy Note Series. Well, in Archlinux you can do such that things with Xournal application. Xournal is an application for notetaking, sketching, keeping a journal using a stylus. 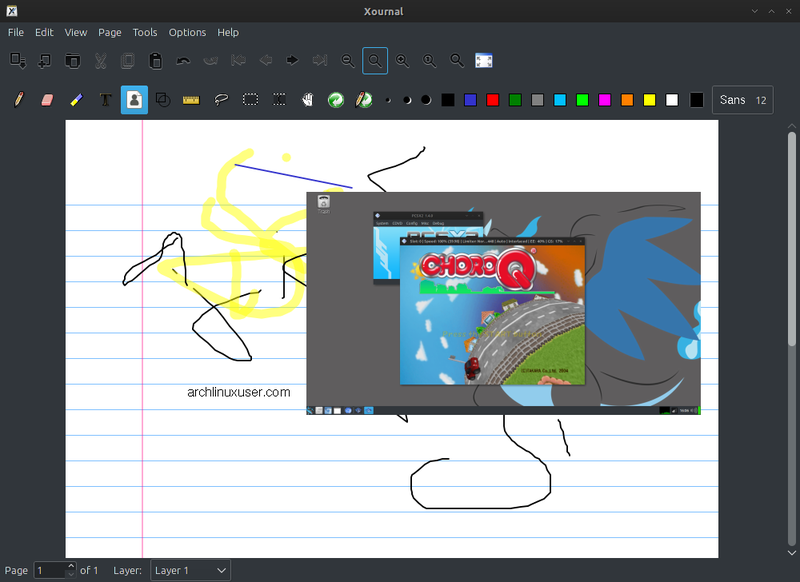 It is free software (GNU GPL) and runs on Linux (recent distributions) and other GTK+/Gnome platforms. It is similar to Microsoft Windows Journal or to other alternatives such as Jarnal, Gournal, and NoteLab. - Taking note, maybe better if you using sytlus or any digitizer pen that support for your touchscreen. - It's also can read PDF files to edit PDF documents.